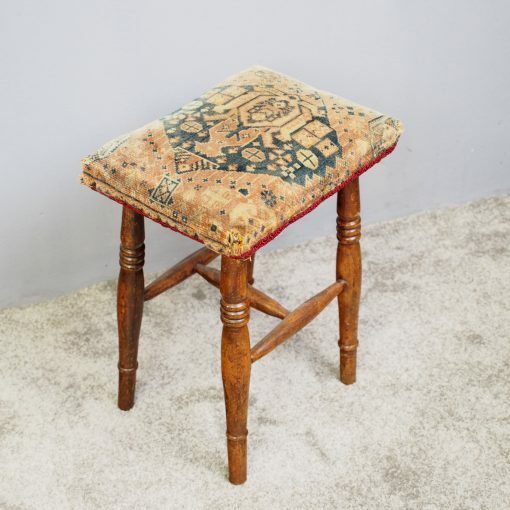 Circa 1880, small stained beech stool. 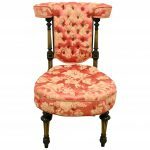 The seat has been upholstered with a Persian carpet, and it stands on 4 ring turned and tapering legs. Finishing on a raised toe and united by turned stretchers.